Why would I need self storage in Culver City, CA? There are a variety of reasons why you might need self-storage in Culver City, CA. How much is a storage unit in Culver City, CA? The cheapest storage unit in Culver City, CA is $79.00 per month. What size storage units do you have available in Culver City, CA? In Culver City, CA we have sizes that range from 3'x4' to 10'x30' to suit your storage needs. How much is it for a 3'x4' storage unit in Culver City, CA? The cheapest 3'x4' storage unit in Culver City, CA is $86.00 per month. Culver City is in the Los Angeles metropolitan area and spans just over five square miles. Throughout the years, the town has maintained a fairly steady growth rate. The city is only a few miles from Los Angeles, making it an easy commute and providing easy access to entertainment, shopping, nightlife and more. Originally inhabited by the Gabrielino Native American tribe, the area that's now Culver City was a beautiful, fertile area that supported flourishing agriculture. Native American people called the area home for several thousand years, until it was settled by the Higuera, Talamantes and Machados families. In 1913, Harry Culver made efforts to establish the city, touting it as a convenient city with excellent transportation. Culver City was incorporated in 1917, joining the growing ranks of planned communities in the Los Angeles area at the time. Within a year, the film industry arrived, and the city quickly evolved into a major hub of the film and television industry. It was also home to Hughes Aircraft Company, owned by the famed Howard Hughes. In the second half of the 20th century, the city worked to revitalize its downtown area, establishing a thriving arts and culture district. Today, Culver City has earned a reputation as a major destination offering trendy dining, upscale shopping and plenty of cultural attractions. While Culver City provides proximity to the hustle and bustle of Los Angeles, there's no shortage of things to do within city limits. The city has an interesting collection of attractions, many of which can trace their roots back to the city's entertainment industry. The Culver Hotel is a uniquely pie-sliced-shaped building, constructed in 1924 and formerly owned by actor John Wayne. The establishment has hosted many famous guests, including Greta Garbo, Clark Cable, Ronald Reagan and the cast of "The Wizard of Oz." You can still book a night at the hotel or enjoy a meal at its restaurant. If you're interested in history and culture, the Mayme A. Clayton Library & Museum is among the nation's largest collections of historical documents and items from African-American culture and history. Or you can visit the Wende Museum to explore a variety of German art pieces. Culver City also provides a number of natural and public parks, giving you plenty of opportunity to enjoy the mild year-round weather. The Culver City Unified School District serves the city's public schools. In addition to elementary, middle and high schools, the district provides early childhood education, special education programs, and programs for gifted and talented students. There are also several private schools in the area. If you're considering higher education, Antioch University Los Angeles is located directly within city limits. There are also a number of postsecondary institutions in the surrounding area. Utilities: The city's main energy providers are Southern California Edison and Southern California Gas. Other major utility companies in the area include the Los Angeles Department of Water and Power, the Golden State Water Company, and the Metropolitan Water District. Garbage and Recycling: You can expect regular collection of trash and recyclables, with your specific collection schedule depending on your location. 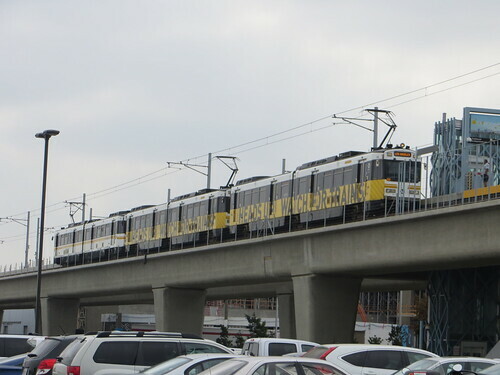 Transportation: You can use a large network of public bus and rail routes in and around Culver City. The median home price in Culver City is significantly higher than both the state and national averages. However, there are a variety of options whether you're planning to buy or rent, so you'll be able to find something that fits your needs. Like many areas of California, Culver City has several distinct neighborhoods, each offering a unique personality. Our lowest priced units in Culver City, CA average $98.76 per month. 1370 people have reserved units in Culver City, CA in the past 30 days. There are 21 locations within Culver City, CA's city limits. There are 7 locations in Culver City, CA that offer AC and Heating features.